Product prices and availability are accurate as of 2019-04-23 09:01:20 UTC and are subject to change. Any price and availability information displayed on http://www.amazon.com/ at the time of purchase will apply to the purchase of this product. Hall of Fame quarterback and long-time ABC college football announcer Bob Griese is a living football legend. 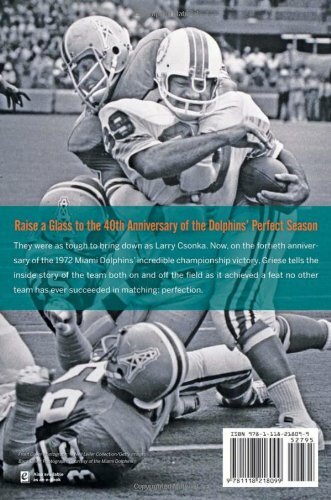 Now, on the 40th anniversary of the 1972 Miami Dolphins' incredible championship season, Griese tells the behind-the-scenes story of the team both on and off the field as it achieved a feat no other team has ever succeeded in matching: perfection. 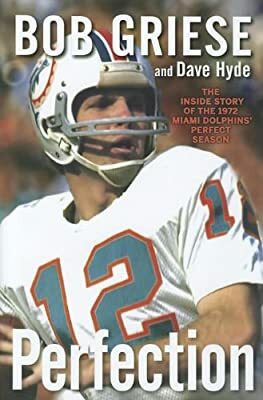 You'll see Griese shocked in his first meeting with Joe Robbie as the Dolphins owner balanced big contract figures and a staggering number of drinks. You'll hear Griese meeting Don Shula for the first time and being ordered to start staying in the pass pocket rather than scrambling. ""Build me a pocket and I'll stay in it,' Griese told Shula. You'll understand the friendship and on-field relationship developed between Griese and Paul Warfield after they became the Dolphins' first inter-racial roommates. 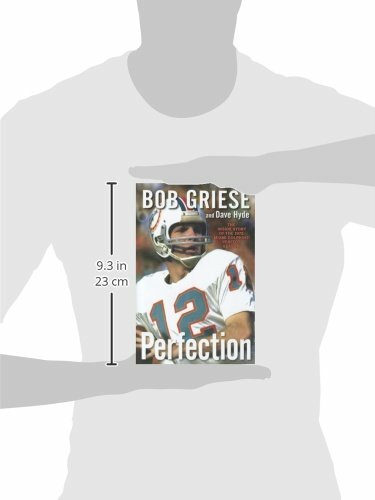 Packed with behind-the-scenes drama and on-the-field excitement, Perfection is a book every football fan will want to read.